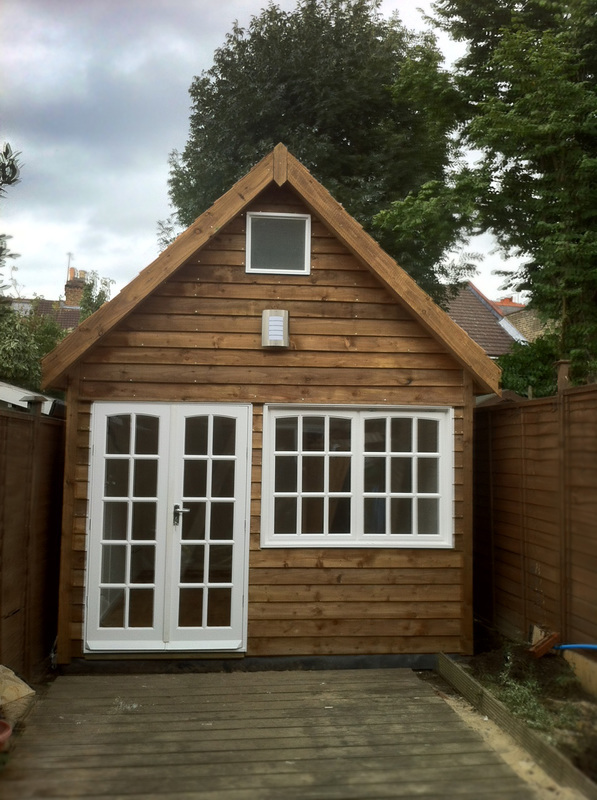 This 4 meter x 4 meter cabin is set in the garden of a house in Hampton Court. The main house was a bit overcrowded with 3 sons having to share a bedroom so the family invested in a bit more space. It worked out much cheaper than an extension and the end of the garden was the only option. 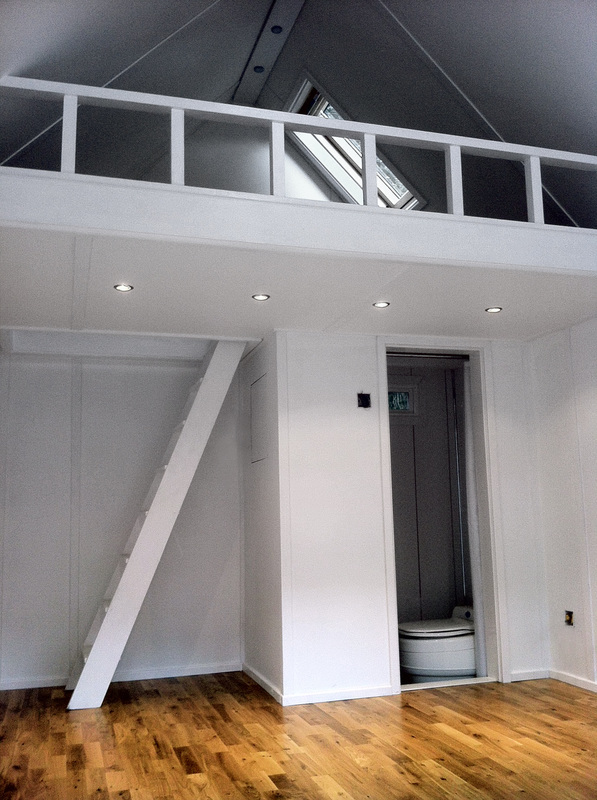 It is fully insulated, has a double loft bed, an electric shower and a composting toilet which would not need water or drainage. The garden was not very wide so a very tight build was designed which sat inches from the boundary.